WARNING: This post contains graphic content. Scroll at your own risk! We finally made it to Nairobi National Park! My wonderful Public Diplomacy (PD) mentor was in town, so we wanted to give her a memorable experience... and I think it's safe to say we succeeded. 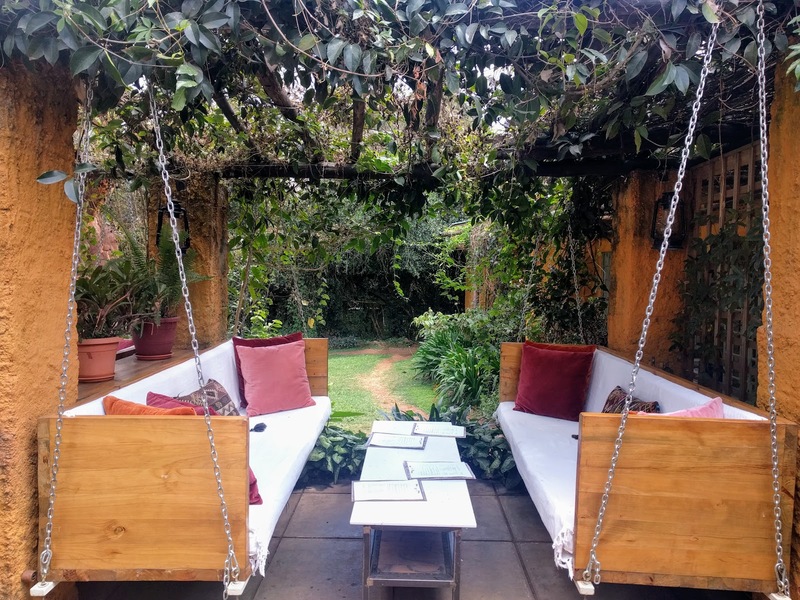 Nairobi National Park is a great option for those who are strapped for time or cash - even tourists only have to pay $42/person in park fees for the day, you can drive yourself, and we saw some amazing things. 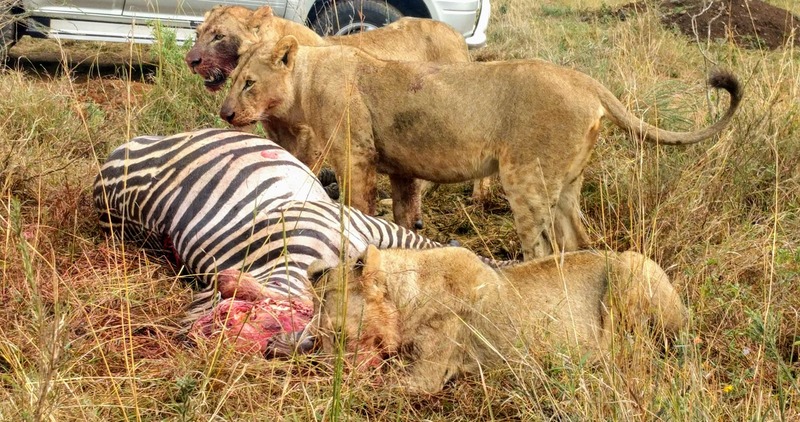 Please don't get too attached to the zebra above, as the graphic photo I warned you about is coming up imminently... Because we were right next to a pride of lions devouring a freshly killed zebra. There were eight lions total - the most we had seen together on any safari! The stench and sight of the lions attacking the inside of the carcass was revolting and fascinating and so natural all at the same time. We felt like we had front row seats to National Geographic. 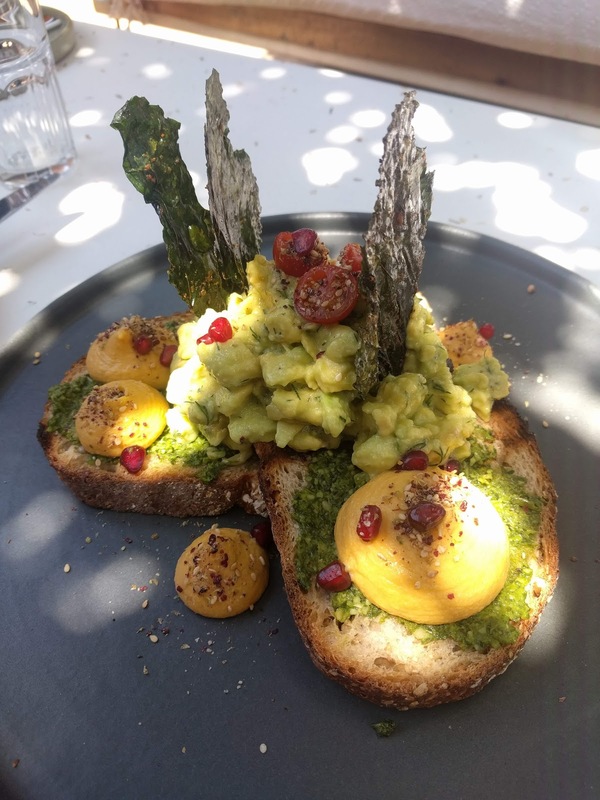 A proud millennial, I ordered the most advanced avocado toast I have ever seen: avocado spread on seeded bread with crispy kale chips, red pepper hummus, and pomegranate seeds. The portion was massive, but I devoured the whole thing. The whole day was an awesome finish to a lovely visit from my mentor. (Isn't woman-to-woman mentorship so powerful?) 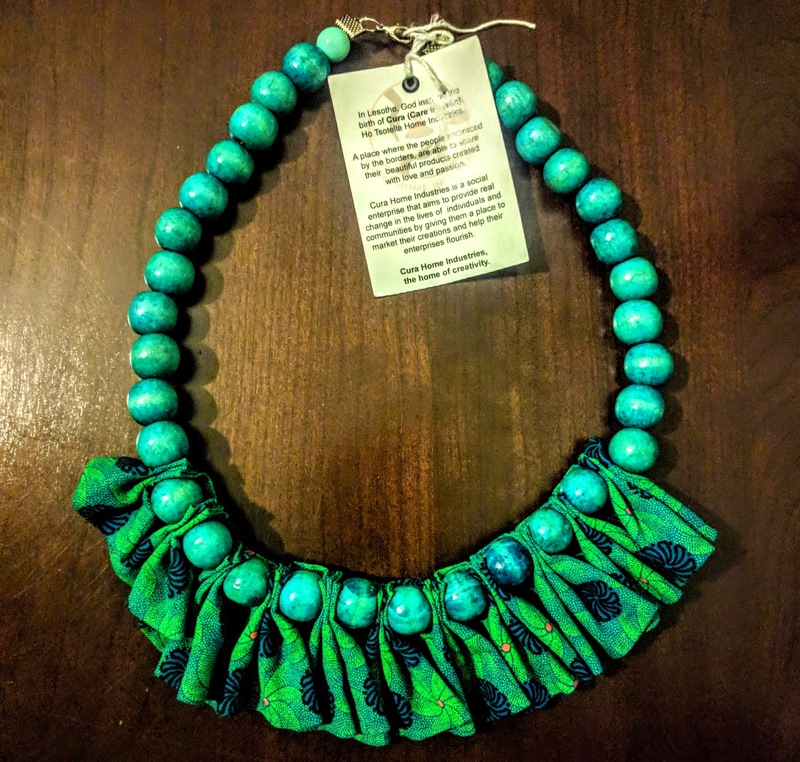 I also have to share the beautiful gift she brought me from her post of Lesotho: a traditional necklace of beads and fabric. I can't wait to wear it as a statement piece soon!